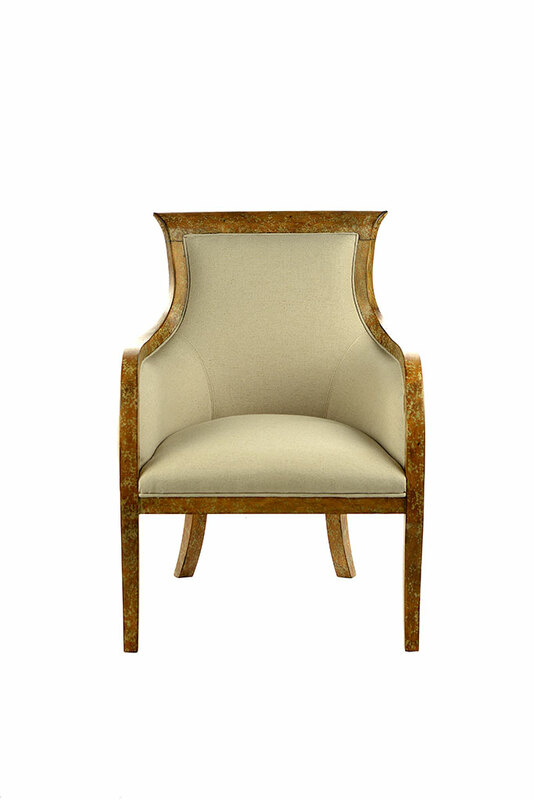 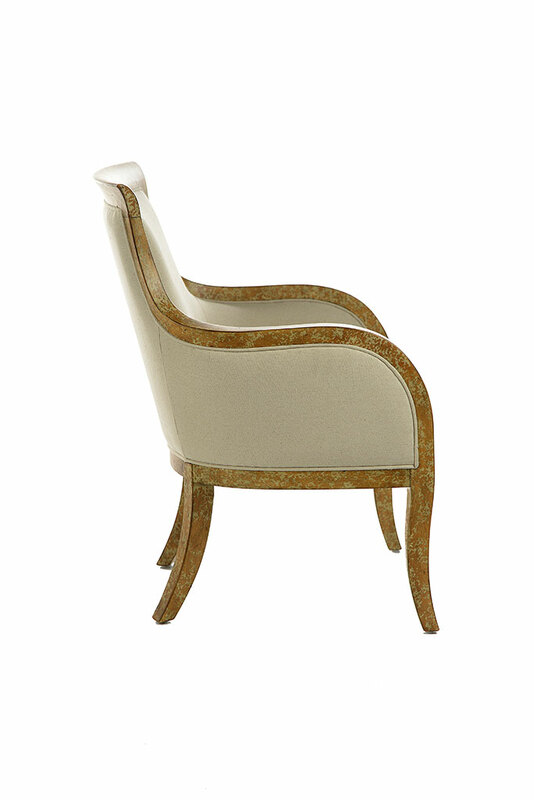 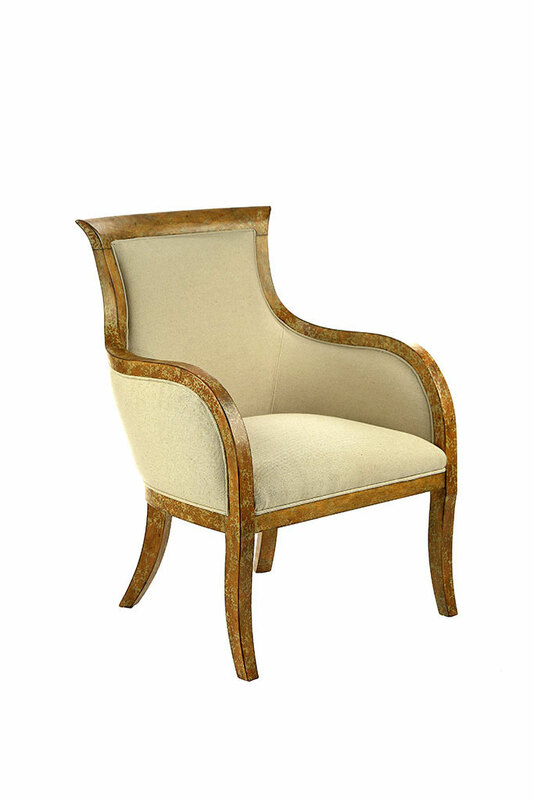 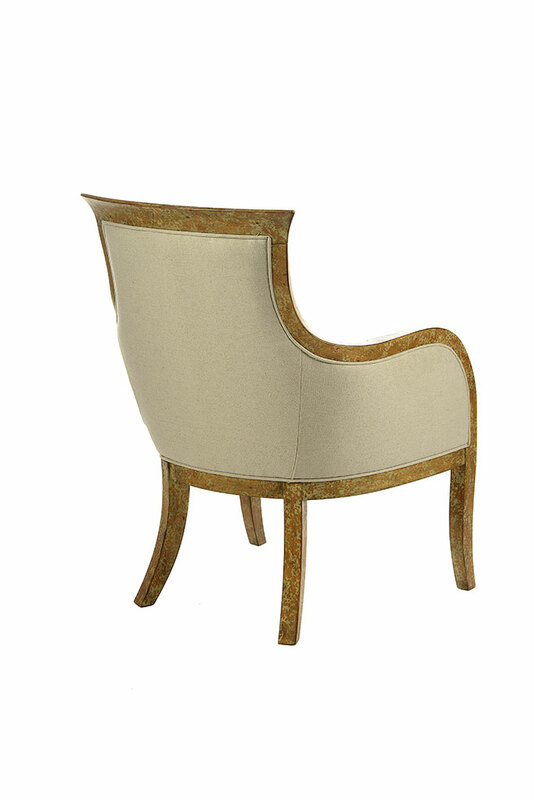 Accent Chair- Empire Style Frame with Toffee Crackle Finish and Natural Linen Blend Fabric. 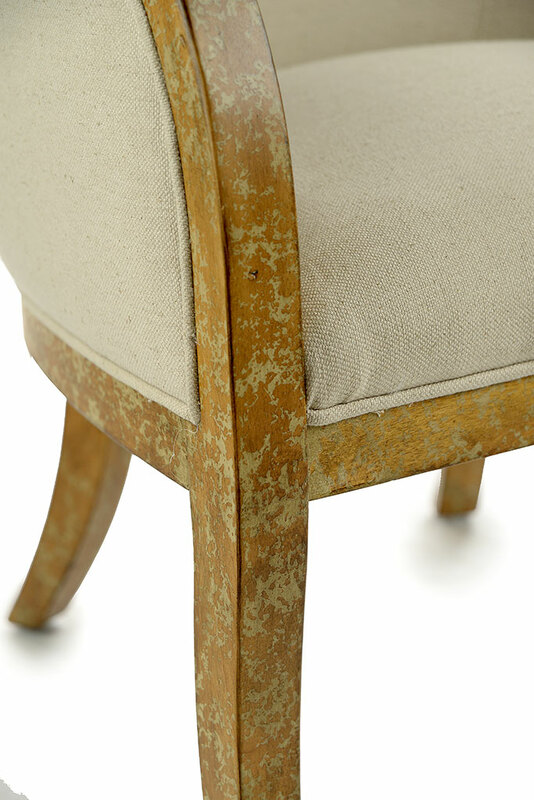 The Fabric is Teflon Treated for stain resistance. 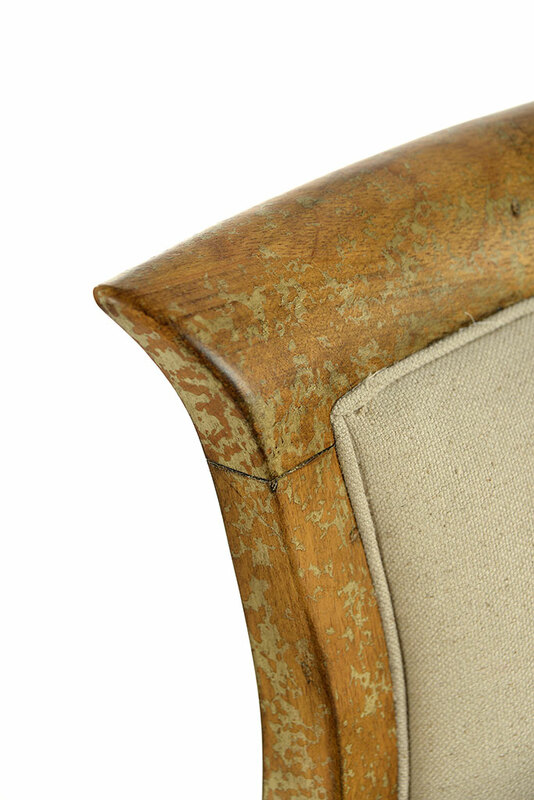 Seat height is 18.5"